NO. 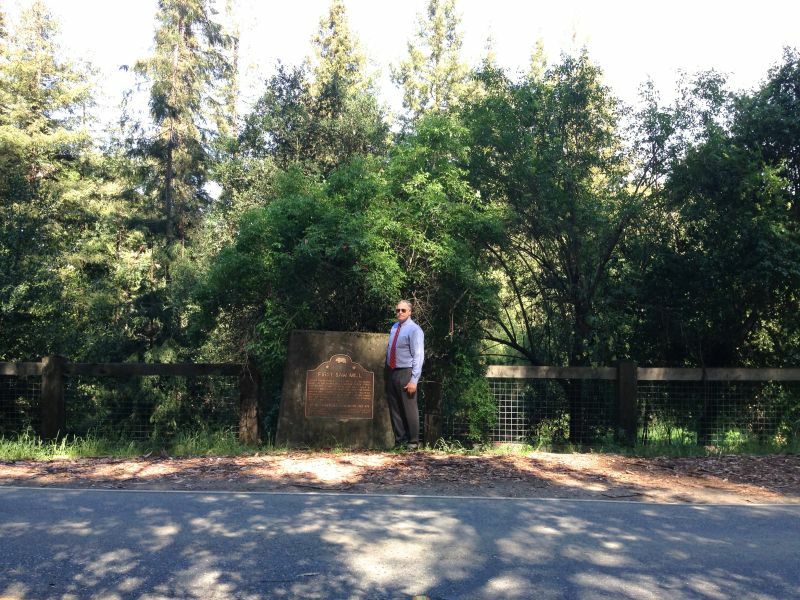 478 SITE OF SAN MATEO COUNTY'S FIRST SAWMILL - About 300 feet south of this monument, on the banks of the Alambique Creek, stood San Mateo County's first sawmill, built by Charles Brown in 1847. 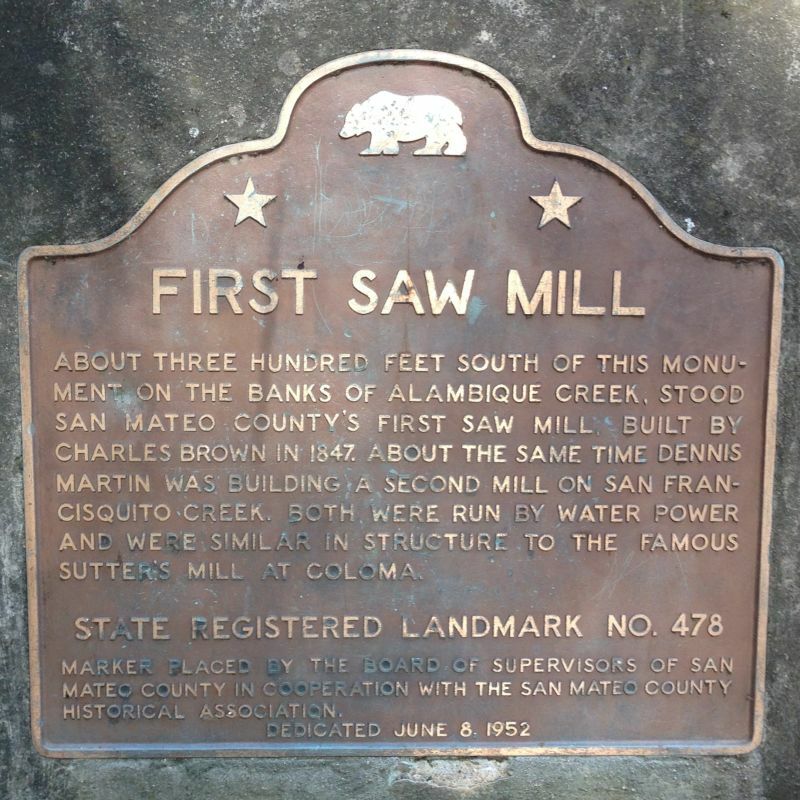 About the same time, Dennis Martin was building a second mill, also run by waterpower, on San Francisquito Creek. 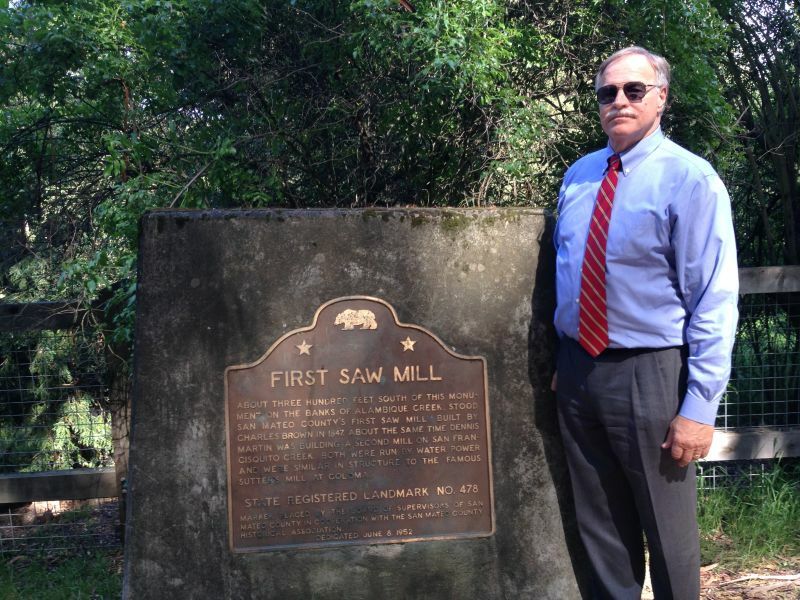 These mills were similar to the famous Sutter's Mill at Coloma, site of James Marshall's 1848 gold discovery.